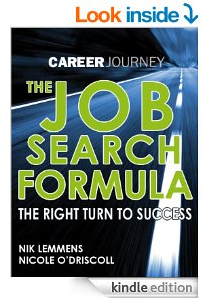 The job fair check list - Your journey to a new career. The chances are that there will be a number of careers fairs happening near you on a fairly regular basis, these are often held at universities looking to attract new graduates but they are generally open to anyone and can be a really useful tool when it comes to the job hunt. I work with Nimlok banner stands who supply a lot of the booths for these events, and before that I worked as an event assistant directing attendees at these fairs, doing this I’ve met many job seekers who don’t really make the best use of these fairs. Don’t let yourself waste this opportunity; here is an important check list to go through before you attend an event to make sure you get the best out of it. There are lots of fairs going on all the time, but they are not all the same, find one that focuses on the industry you want to be employed in. Employers who work in the charity sector and other niche industries often can’t afford the exhibitor fees at many of these fairs, so will be more likely to attend targeted fairs where they know they will see the kind of candidates they are looking for, and often get reduced exhibitor fees. You should be able to find a list of who’s attending online, work out exactly who you want to talk to and research them in advance; this will help you make the best use of your time with them, knowing what questions to ask. You will also seem more knowledgeable giving a good impression. Pack a note book and business cards / C.V.
A note book will help to make you look more professional and serious about the job. Making notes will also come in handy later as job fairs can be information over load. This goes for the employers too, so having a card or C.V. to leave them will help you stick in their mind too. Fairs can be really busy so make sure you have time to speak to everyone you want to, prioritise people if necessary, and try and work out a logical route around the fair. It does not look great to ask an employer a question that is answered right in front of you, whilst queuing to talk to an employer try and skim read there banner and any literature they’ve bought along. Other job seekers can be a great resource, you are all going through the same experience so can share tips with one another and offer support. Knowing people at these events can also make them a lot more fun. 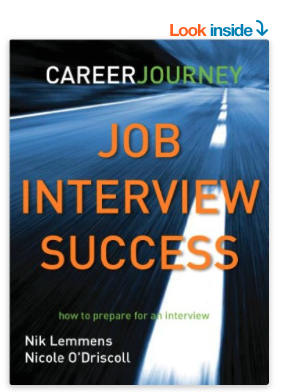 Many job fairs will offer mock interviews and C.V. checking services; these can be really helpful to check you are on the right track and show you how you look to potential employers. A lot of job seeking is about knowing how to play the game, so take every opportunity to learn. Try and get contact details from the employers you are interested in, then follow up on any conversations you had afterwards, this keeps you in their mind and gives you an opportunity to ask any new questions you might not have thought of before. If you come away from any jobs fair being able to tick all nine of the above boxes, you will know that you have made a lot of progress in your hunt for a job. Hopefully you’ll come out of the experience with a much better idea of what you want to do and some leads to follow up on. Good luck!